In the same way you or I use our sight to interpret our world, K9’s use their nose to interpret their world. Human’s sense of smell is weak and little room in our human brain is dedicated to interpreting smells around us. K9’s noses are built differently than humans and a larger area of their brain is dedicated to interpreting the odors of our world. Ever notice how to get a good smell of something; you have to inhale repeatedly while trying not to exhale? 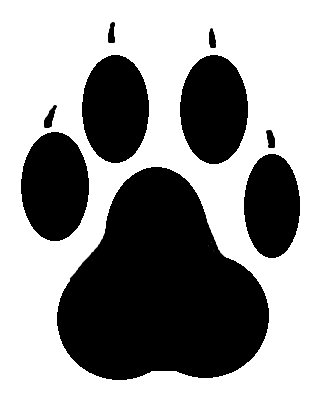 A K9's nose is designed differently than ours; their noses are quite sophisticated compared to our measly human nose. For one, their nostrils can move from side to side and up and down to help the K9 determine the direction of where the smell is coming from. Inside the K9’s nose are Turbinates, which are complex folds of bones, covered in nasal membranes and scent-detecting receptor cells and nerves. In humans this is only a small area in our nasal cavity, and both incoming air and exhaled air, pass over it. 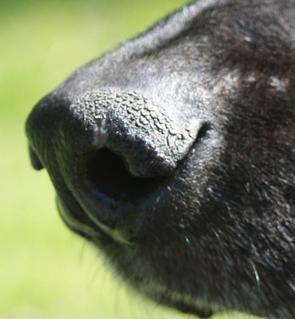 In the K9’s nose there is a shelf just inside his nose that takes the odor-laden air deep into the recesses of the nose where it does not mingle with exhaling air. K9s not only has more Smell Receptor Cells than a person, they also have more types of smell receptor cells, which give them the ability to detect a larger variety of smells. Once the odor hits the Smell Receptor Cells, the chemical smell signals are converted to electrical signals and sent via the nerves to the brain. The K9's brain, which interprets these electrical signals, is estimated to be 40 times larger than ours.